You need to forgive me for pointing out the obvious in this post, but you’ll be amazed how many times I cover the following points with new writers who insist they want to create their own book covers, yet when I receive their design, the fundamentals have been overlooked. The book cover is, in many ways, the most important part of your book as it’s what will drive its sales. There’s just no getting around it. If people don’t like the look of something, they won’t buy it and so your incredible story will go unread – no matter how incredible it may be. At Pen Works Media we create our book covers in-house. We’ve taken a great deal of time dissecting covers we admire, attending seminars in book design and also studying marketing plans and sales figures of existing books to see what types of covers are most popular with readers. Creating new book covers is, in itself, an art form, and one that we greatly enjoy. As we’re all about helping people, I’ve decided to create a blog dedicated to book covers to highlight exactly what you need to focus on with your design and why. Individually, each step sounds pretty obvious, yet achieving them all together is an oddly difficult challenge. 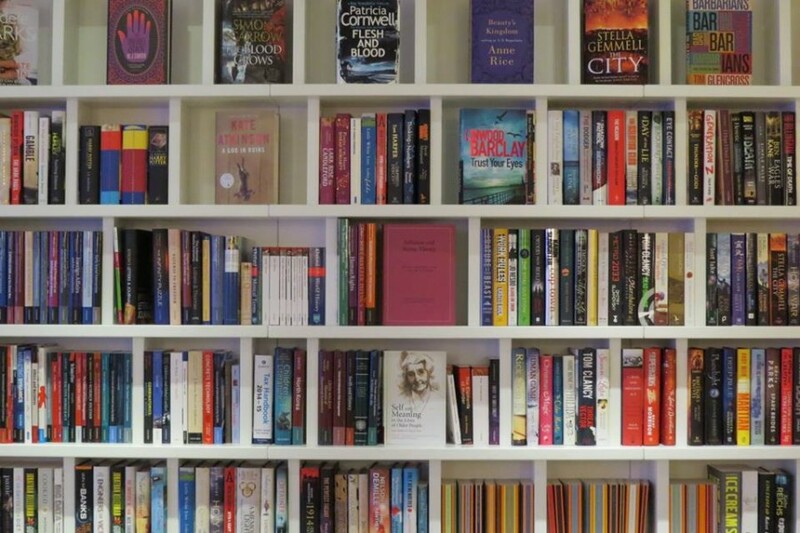 For the purpose of this blog, I will use the metaphor of a potential buyer looking at a physical book, although the same is ultimately true of digital books as well. Read on to learn our top 5 tips for creating a standout cover for your book. Just by glancing at your book, a reader should be able to tell what genre it is just by glancing at it. Read that bit again. Just by glancing at it. The way this is achieved is by ensuring the key image/s on the front cover resonate with the story in a blatant and direct way. With The Moors we went for an inhuman hand reaching out of a cot. If you were reading the next Bourne saga, you’d expect a faceless man running from something. If you were reading the latest Alex Cross novel, you might see a faceless detective casting a watchful eye over the city. These are tried and tested sellers and continue to work in the marketplace. Many new writers are overly obsessed with being subtle or unique, but when it comes to book design, this will honestly go against you. There is no bigger fan of creativity than me, and at Pen Works Media, we embrace it. However, you should be creative in the right places and for the time being, stick with methods that you know get results. The whole purpose of the front cover is to make potential readers want to know more, so don’t hide away from your genre. Instead, shout it from the rooftops. Clarity is key. If the purpose of the image/s are to get the readers’ attention, the purpose of the text is to confirm what it is they’re looking at. Modern customers are incredibly critical, even if they don’t realise it, and if your text is hard to read or the style doesn’t match the genre, they will walk away and look at something else. With that in mind, use the text to be super clear. If your book is a period piece, by all means opt for overtly traditional lettering. Likewise, if your book has an element of the experimental about it, go for a more wacky style. I know it sounds obvious, but there are so many fonts out there now it appears to frazzle people’s brains and make them panic. You’ll be amazed how many covers we’re sent where the font has nothing to do with the style or era of the story. It really is a no-brainer, but make your reader want to read. As a writer, you should have been working on your logline since the first day you started your Manuscript. Your logline is a short piece of text – usually a one liner – that sums up your entire novel. If the text and visuals on your cover are good, your reader will now be close enough to pick your book up and this is the first thing they’ll read. If your logline is weak, your reader will immediately lose interest and walk to the next one that grabs their attention. However, if you get it right, they won’t have any choice but to read on. What an exciting moment. A reader, who we know is looking to buy a book, now has your book in their hands. What’s more, we know they read your genre because otherwise, they wouldn’t be considering it. In short, your target audience is considering your work, and as every great salesman will know, if the rest of the book has been prepared properly, you’ll close the deal. Your book blurb is the short passage of text written on the back of your book that sums your story up in a nutshell. Now, I’m not going to lie. I think blurbs are possibly the hardest thing to write. If you write a sloppy paragraph in chapter 20, your reader will barely notice, but if this is wrong then the reader – who could potentially go on to support your work for the rest of your career – will put your book back down and may never come across your work again. This isn’t an exaggeration. It’s the reality of the fine line between success and failure, and those writers who pay attention to detail will be the ones who continue to build their fan base while other writers will go round in circles making the same mistakes. Unfortunately, there is no magic formula or advice that will help you write your blurb. Instead, you are tasked with summing up your novel, which runs for tens of thousands of words, in just a paragraph or two. Not only that, it needs to be gripping. If you take my advice, you will write blurbs consistently over a period of months and give your favourite ones to trusted readers for feedback. This is the only logical way to approach it because you’re looking for what engages people. Remember, nobody can write a better blurb for your book than you. For this challenge, your are the chosen one. You are Neo in The Matrix. You are Luke Skywalker in Star Wars and until the blurb is right and you are 100% happy with it, your book isn’t finished. Upon creating a book cover, it often amazes people how much effort goes into it, but when done successfully it can and will make the difference between a near miss and a sale. If you’re feeling a little overwhelmed, consider hiring Pen Works Media for our book design services, or if you decide to go it alone, we wish you the best of luck!